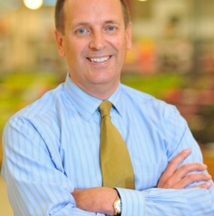 Grocery distributor, Metcash, has announced its new Chief Executive Officer to replace Ian Morrice in late 2017. Metcash has appointed a former Tesco supermarkets executive, Jeff Adams. Adams has previously held a number of executive positions with Britain’s Tesco, including, CEO of Tesco Kipa in Turkey, CEO of Tesco Lotus in Thailand, Retail Operations Director of Fresh and Easy in the United States and Director of Operations of Tesco Express in the United Kingdom. Adams left Tesco in 2015 and has since been working as a business consultant. Rob Murray, Chairman of Metcash, said Metcash was delighted to have someone of Adam’s calibre joining the business. “Jeff’s deep international experience, including a strong track record in difficult retail market conditions made him a standout candidate for this role,” Murray said. Adams is set to join Metcash in September 2017 with Ian Morrice, leaving Metcash in 2018 when ready. Adams will officially take over as CEO of Metcash in December 2017. Adams said he would be using his experience to take Metcash’s business plans to the next level. “Independent retailing is in my family, and I understand the vital role that independents play in local communities and the economy more widely,” Adams said. “I am very pleased with the excellent work done to strengthen Metcash’s financial position, and I look forward to working with Ian, the Board and the wider Metcash team as we continue to build on the food work done to reposition Metcash for the future,” he said.